Child rights activist and Nobel laureate Kailash Satyarthi today called for "ending the silence" on sexual abuse of children, and underlined the need for an effective judiciary. 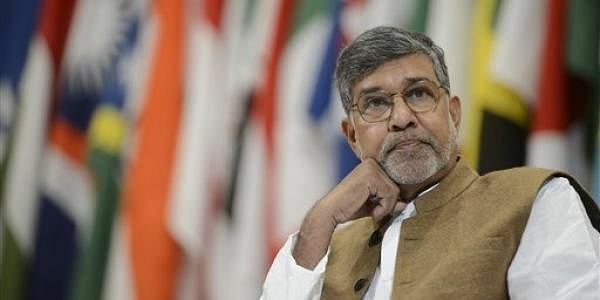 MUMBAI: Child rights activist and Nobel laureate Kailash Satyarthi today called for "ending the silence" on sexual abuse of children, and underlined the need for an effective judiciary to deal with perpetrators of such crime. "Around 53 per cent of children have faced some kind of sexual abuse. To put an end to this, our love for children should go beyond the confines of our homes. Any child's abuse is our child's abuse, this is the mindset that needs to be adopted," Satyarthi said as part of his 'Surakshit Bachpan Surakshit Bharat' (Safe Childhood-Safe India) campaign at the YB Chavan auditorium here. "Only in 4 per cent cases have the perpetrators been awarded a punishment. In six per cent cases, perpetrators have secured release. The remaining 90 per cent cases are pending. We will hold talks with judges over this issue," he said.